Following a good diet helps us control our blood sugar and, therefore, avoid complications in our diabetes. However, do you know what we should eat and what not? Today we bring you the list of diabetic foods that few people know and that you should put on the door of your refrigerator. Do not get lost and keep reading! Anyone should follow a healthy lifestyle, with exercise and healthy and balanced diet, but we as diabetics even more. From our diet our day to day and our glucose outflows will depend to a great extent, so keep in mind what foods we can and should consume and what not. The first norm of the diabetic is to avoid sugar , it has logic. However, we can consume non-caloric sweeteners such as stevia. If you are sweet, it may seem like a problem, but the reality is that we have many healthy and delicious recipes and ideas that will delight the sweetest palates. Let's banish sugar from the kitchen! As for fats, we have to avoid so-called bad fats and bet firmly on virgin olive oil, one of the great secrets of the Mediterranean diet. To snack between meals, choose baked snacks, which are always healthier, replace the butter with margarine and use light garnishes. In this category, we also have to talk about the healthy fats that contain for example, nuts , especially nuts, almonds and hazelnuts. This type of food as well as being healthy are very satisfying. They come great! The white flours should be discarded, but the integral flours can be taken without problem. In our list of diabetic foods you should include soya flour, bran, oats or barley. With cereals the same thing happens, we have to opt for whole grains such as brown rice and whole grain bread, like whole wheat bread. In this section, we have to highlight the barley . Choosing it as a substitute for white rice helps reduce blood sugar by up to 70% . How? Thanks to its rich soluble fibers. 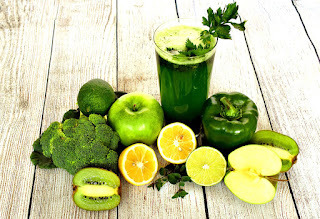 Fruits and vegetables have to be a fundamental pillar in our diet, although in the first group we have to avoid mango, pineapple or grapes , because they contain a lot of sugar. Among the fruits, the apple satisfies the appetite, fights bad cholesterol and prevents the imbalance of blood sugar levels. Green or red, it is a great snack that we should have among the top positions among our list of diabetic foods. For its part, the avocado contains fats that prevent sugar levels from firing after meals, so it is able to reverse insulin resistance. Another main food is broccoli , because it contains fiber, antioxidants and chromium, helps regulate sugar in the long term. In general, we can consume vegetables as long as they are raw, baked, grilled or steamed. The most recommended are dark green leaves (spinach or chard), eggplant, squash or asparagus. Among the proteins we have to try to eat blue fish , which with their fatty acids help control diabetes and lower cholesterol levels. Salmon, tuna or sardines, besides benefiting from these aspects, help us to improve our mood. As for meats, we should take white meats, such as chicken or turkey and fat-free cuts, always cooked roasted, grilled or steamed. The eggs , in addition, are foods with a great nutritional value, with minerals and very beneficial vitamins. For diabetics, they are recommended, since they do not interfere with our glucose , although, like everyone else, we must take them in moderation if we do not want our cholesterol to be triggered. Although many doctors discourage drinking milk when you are diabetic, some researchers say that the carbohydrates in milk are absorbed slowly, which helps maintain our sugar levels. The milk and magnesium proteins it contains help to increase the action of insulin and provide vitamin A, C and D.
The most advisable is to take skimmed products, which provide all the nutrients, but eliminating the fat part. Doing a diet following the previously mentioned elements will allow us to have a correct diet, and allow us to take control of diabetes. Citric fruits. Like oranges, limes and lemons. Dark leaf vegetables. Like spinach or curly and / or green cabbages. Berries and red berries. Fish with omega-3 fatty acids. Tuna, sardines, salmon, mackerel, cod. Healthy polyunsaturated fats. Nuts, avocados, olive oil, almonds. Foods with saturated fats and trans fats. Dairy with high levels of fat. All kinds of foods are included in the list of diabetic foods, although with precautions. Avoid sugars, control carbohydrates and include in your recipes foods that improve blood sugar levels. Remember that a correct diet has a positive impact on our health, your diabetes and you. Take the list of diabetic foods that we recommend and do not skip a recommendation. Have you noticed how good nutrition influences your diabetes? Tell us!